One of the easiest and most satisfying flowers for your garden. 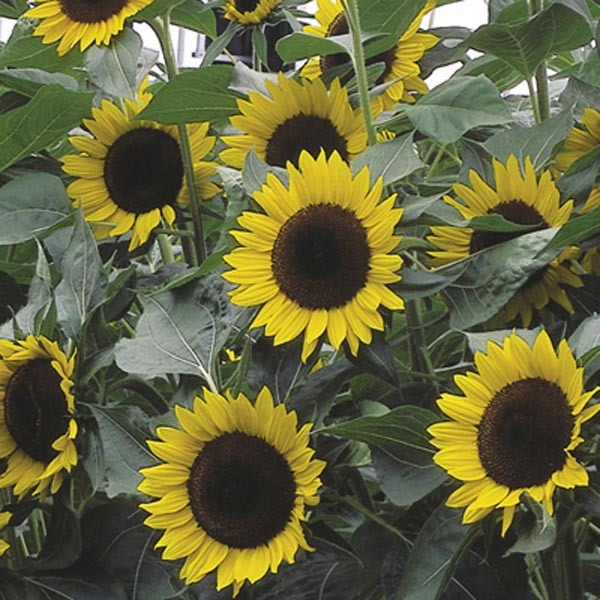 Tall, strong-stemmed plants produce huge, richly colored blooms. The flowers are packed with seeds that attract songbirds! Ideal choice for beds, borders, and cutting gardens. Perfect for all kinds of containers. Cut flowers are long-lasting in fresh bouquets. Birds enjoy the seeds. A heat tolerant selection. Plant in organic-rich, well-drained soil. Keep soil moist, watering freely in dry weather. Remove faded flowers or leave for winter interest.